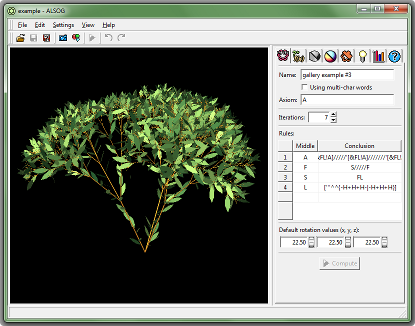 The first tab that allows you to define the Lindenmayer System is opened. 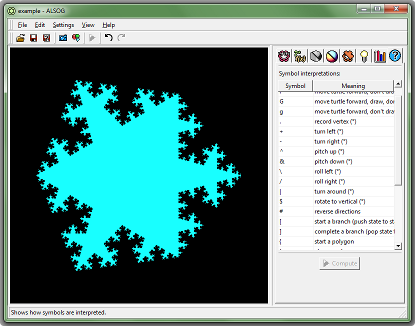 ALSOG allows you to use different geometrical objects to represent a symbol. 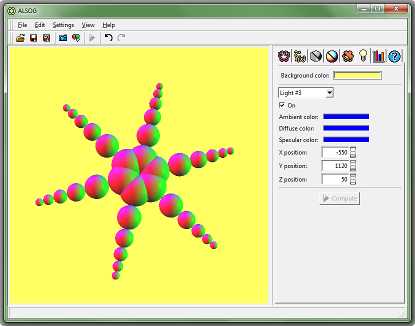 You may also apply different colouring schemes to each symbol. 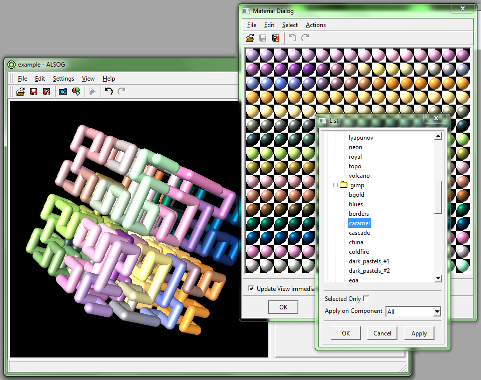 The picture shows ALSOG with the palette editor being opened. 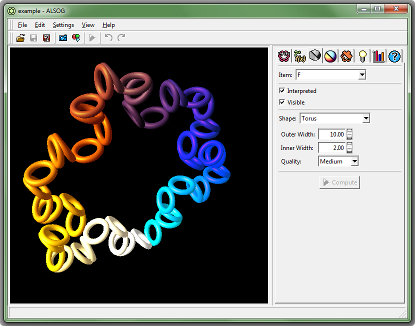 ALSOG allows to change the background colour and use up to eight - coloured and individually positioned - light sources. 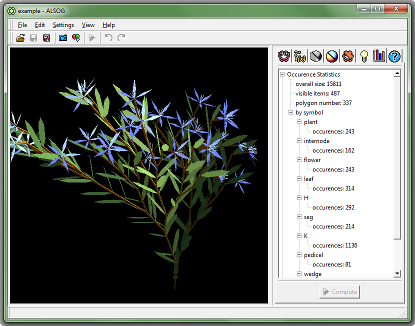 After computing, ALSOG shows statistics about the generated Lindenmayer System representation. The last tab lists the available default symbols. Last changed on June 22 2018 23:26:13.